These units can be recognized by a raised forward section. 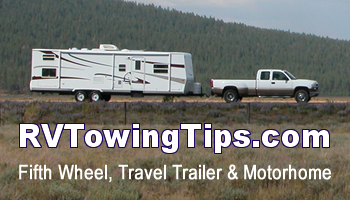 The fifth wheel trailer’s raised neck section, sometimes called a gooseneck, rides over the bed of the tow vehicle where it connects to the special fifth-wheel hitch. This overlap reduces the overall length of the two vehicles. Having the trailer tongue weight over the rear axle of the tuck contributes to improved traction and handling. Over all length of trailer and truck combo is shorter for the same trailer length. The raised gooseneck section allows for a large storage area designed underneath the raised part of the floor. 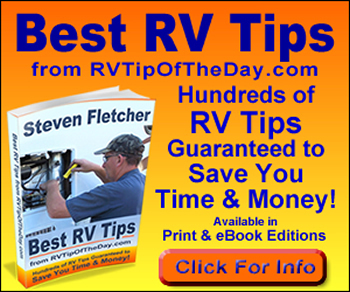 Fifth wheel hitch limits use of truck bed. Typically, the conventional travel trailer, also called travel trailer, ranges from 15 to 35 feet in length and is towed by means of a bumper or frame-mounted hitch attached to the rear of a towing vehicle. Single level floor plan which is desirable to many RVers. Lower profile than fifth wheel trailers. If towed by pickup allows use of truck box. Can be towed by a car or van. The larger the trailer, the more sway and handling becomes a problem. Somewhat more difficult to hitch than fifth wheel type trailers. Size: 12 to 35 feet. Cost: Prices range from $9,500 to $63,000, with an average retail value of $14,700. Pop-up trailers also called camping trailers or tent trailers have collapsible walls made of canvas or fiberglass. 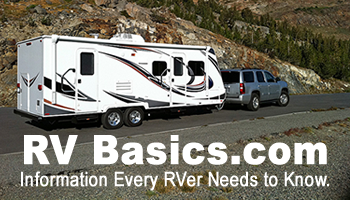 Today’s models provide many of the amenities found in other RVs. Galleys provide sinks, multi-burner stoves, and both ice boxes or refrigerators. Holding tanks are sometimes available but are usually small. Sleeping facilities can accommodate up to eight people. 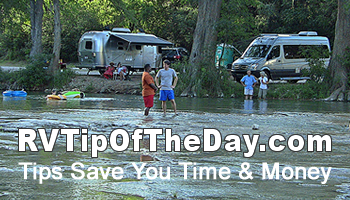 These trailers tow as small low profile units but expand into roomy accommodations upon reaching the campsite. Once erected, they can extend to twenty feet in length; depending on the model. Low profile and light weight saves on gasoline, provides greater stability when towing, and decreases buffeting by wind and passing vehicles. Necessity to set up and take down the tent. Often require using the bathroom facilities at the RV park or campground although some models do offer a shower and/or bathroom. Small holding tanks if any. Cost: Prices range from $3,600 to $11,600. The average retail value of a folding camping trailer is $5,230.